Qualifications: NVQ 2 and 3 in Hairdressing and A2 Salon Assessor. 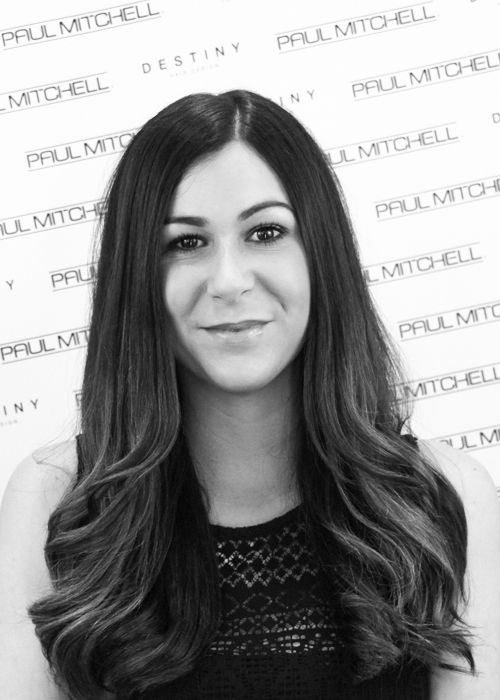 "I absolutely love being a hair designer and making my guests feel good about themselves. I love to create new styles and looks that are individual to each guest." Qualifications: NVQ 2 & NVQ 3 in Hairdressing. Akira has 3 years experience. 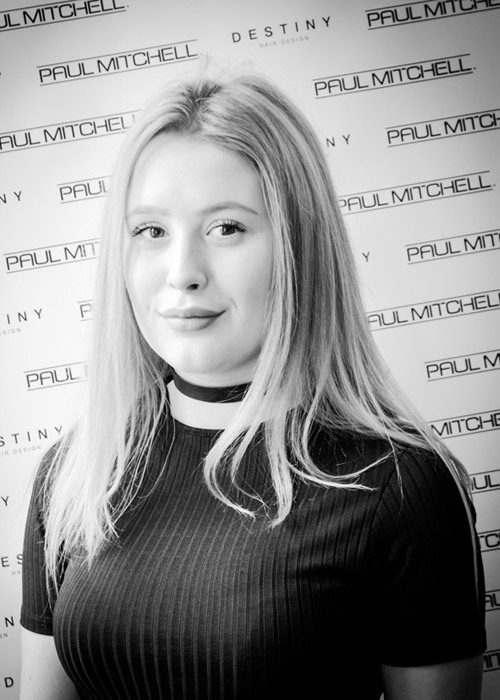 "I have been working as a hairdresser for 3 years now and I love it! I love working with my best friends too." Qualifications: NVQ 2 and 3 in Hairdressing. 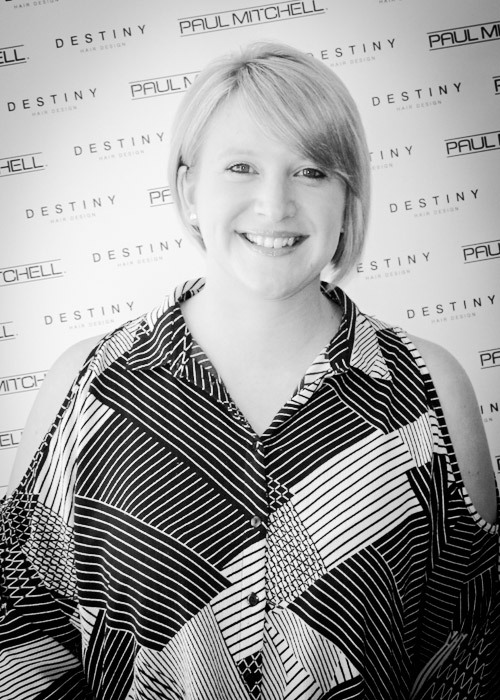 "I have worked at Destiny for 10 years and what an amazing team and salon it is to work for! Its a salon where you never stop learning and achieving your goals and aspirations. 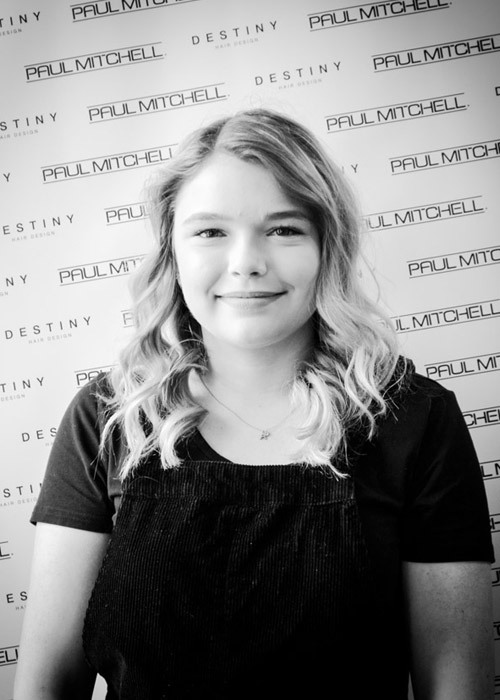 Hairdressing is my passion, it brings out the creative side of me and I love passing that on to my guests and making them feel 100% confident, happy and the best they can feel"
Amelia has 4 years experience. "I love making people feel beautiful and good about themselves, after all life is too short to have a bad hair day!" "I just want to bring as much beauty to the world as possible." 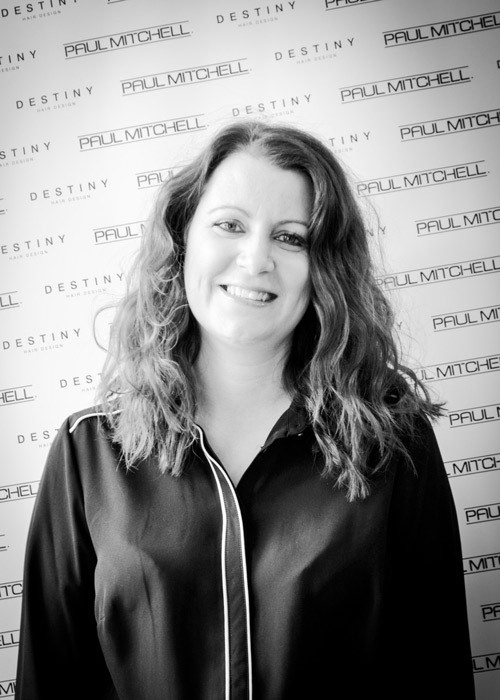 Charlie has 13 years experience in her trade and can help you create your desired look. "Make up is such a different thing for each person and being trusted to create the perfect look is a wonderful feeling. I love helping people feel their best." Executive Consultant, Perming and Styling specialist and 365 Task Force Educator. Donna has 34 years experience. 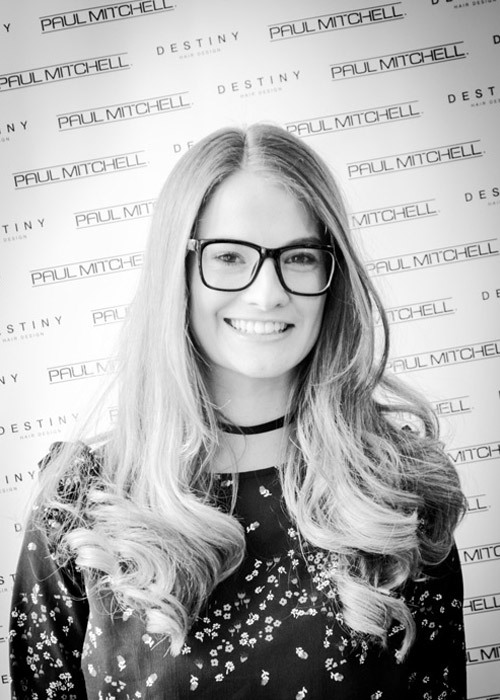 "I take pride in having the power to make my guests feel amazing and specialise in big, bouncy blow drys." 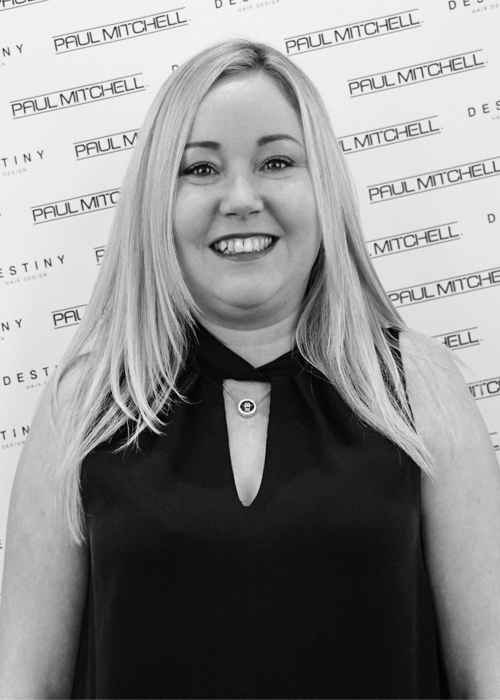 "I wanted to make people feel beautiful so I would like to become a hairdresser"
Salon Director and Bridal Specialist. Gemma has 7 years experience. 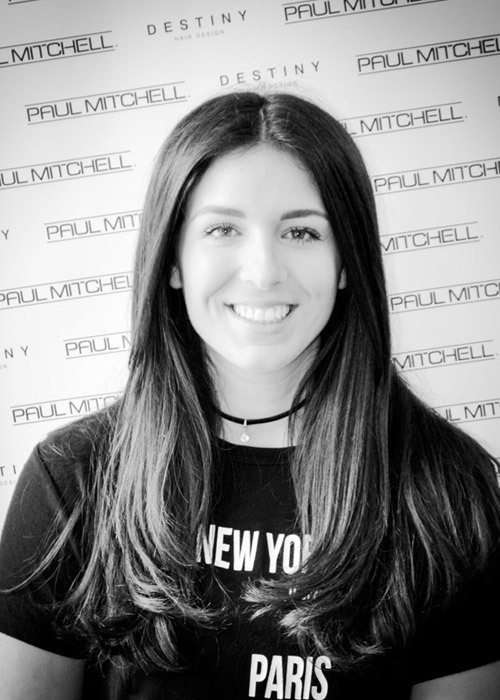 "I have been hairdressing since the age of 16, I have always had a passion for hairdressing since a very young age. I believe listening is key and will always give 110% to make you feel comfortable and leave feeling happy with not just your hair but the service you receive. We are a lovely friendly group of girls and look forward to meeting you." "The best part of my job is making my clients feel amazing. Its the best feeling ever when they leave with a big smile on their face." 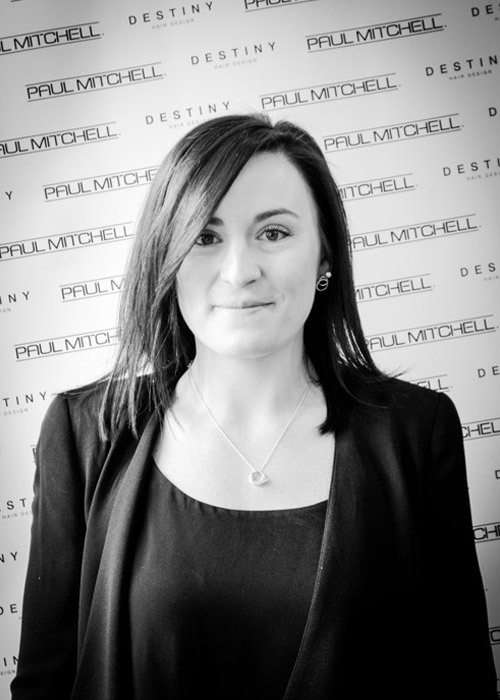 Salon Manager, Executive Consultant, hair extension specialist and wedding specialist. Qualifications: NVQ 2 and 3 in Hairdressing, Barbering NVQ Management, NVQ, 365 Managers Challenge course and A2 salon assessor. Kirsty has been hairdressing 14 years. 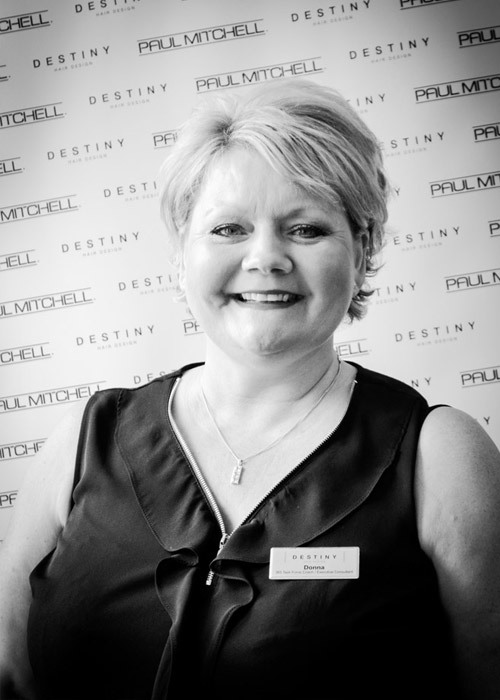 "I have been hairdressing since leaving school 14 years ago. I'm very passionate and I love getting creative with my clients hair and making them feel special. I'm friendly and caring and always give 100%." Executive Consultant, Perming specialist and 5 step customer care specialist. Lorrie has 41 years experience. "I am passionate about making my guests happy"
"I thoroughly enjoy being part of such an amazing team and being able to provide a good experience to each and every customer. 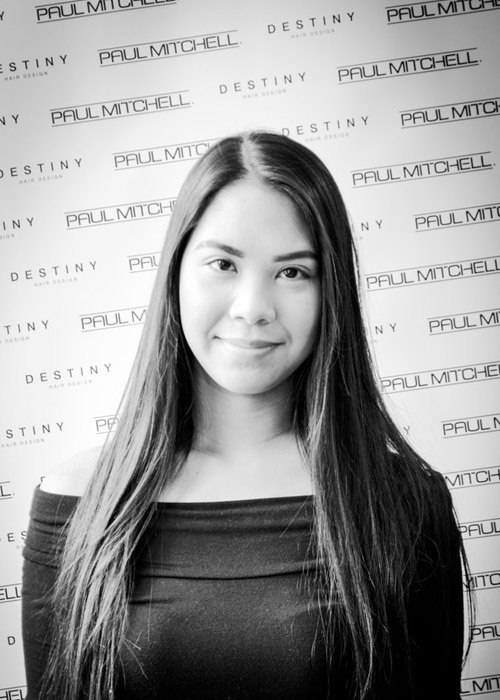 I hope that one day I will become a successful stylist at Destiny." 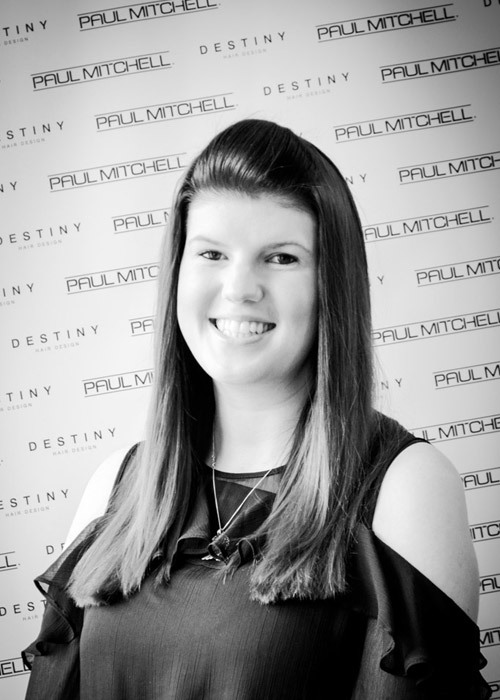 Qualifications: NVQ 2 and 3 in Hairdressing, 365 Managers Challenge course and A2 Salon Assessor. "What I love the most about my job is being creative and making people feel amazing." Consultant and L'Oreal Colour Specialist. 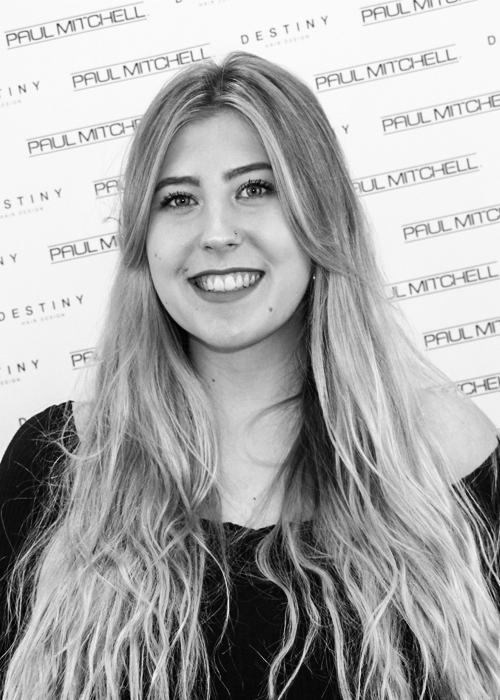 Qualifications: NVQ 2 and 3 in Hairdressing, A2 Salon Assessor, 365 Managers Challenge course and L'Oreal Academy Colour Specialist Degree. Steph has 12 years experience. "I truly believe I have the best job in the world. Its the best feeling ever making someones day by giving them fabulous hair." 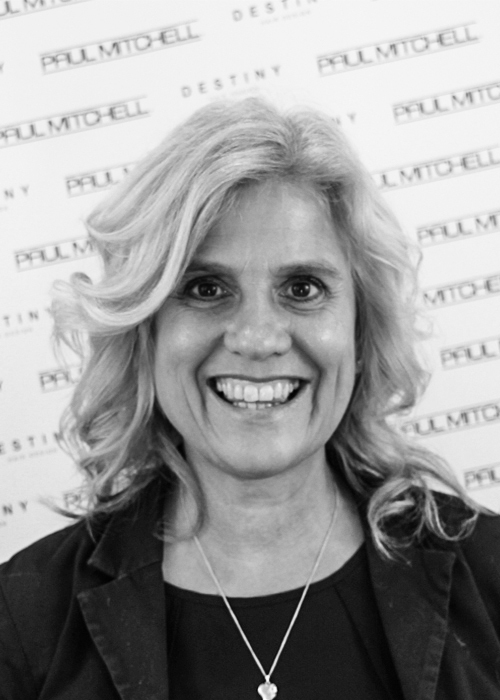 Salon Owner, Consultant and 365 education coach. Qualifications: NVQ 2 and 3 in Hairdressing, A2 Salon Assessor and NLP Practitioner. Tracey has 28 years experience. 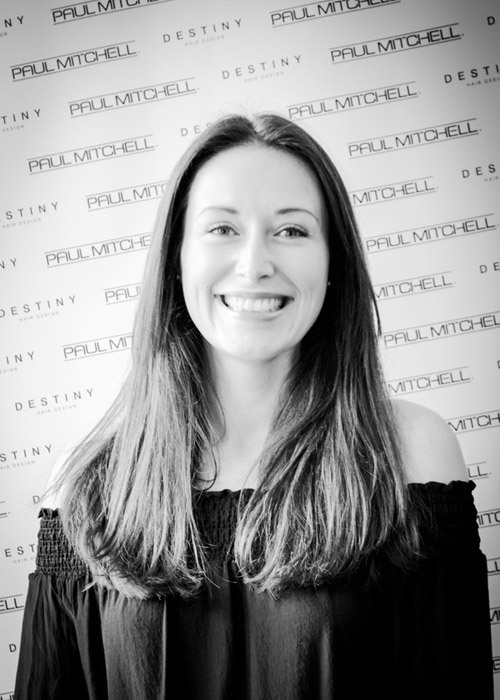 "I am very proud to have such a fantastic team that have grown within the salon over the past 13 years in knowledge and experience giving 100% customer care and the wow experience in our salon." Thank you so much for my newly fresh look as I came in with really long hair and wanted a change. Spur of the moment decision to donate my hair to the Little Princess Trust. Hana done a wonderful job in making my hair look stunning even though I had it all chopped off. I always love coming to Destiny as it's my relax time. Thank you for a lovely morning and helping me donate my hair.